Alder (Alnus glutinosa): growing, planting, caring. The most common species of Alnus. Alnus glutinosa - the alder - is a species of tree in the family Betulaceae, native to most of Europe, southwest Asia and northern Africa, growing to a height of 20 to 30 metres (66 to 98 ft). 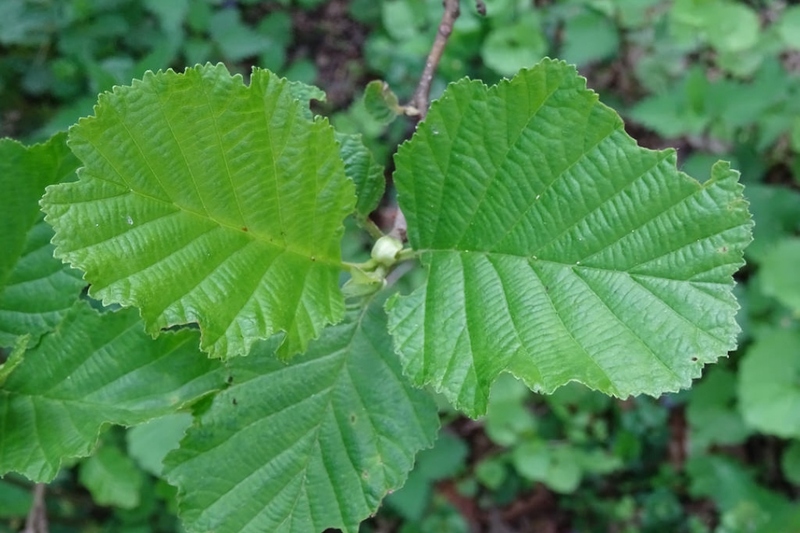 The leaves of the common alder are short-stalked and rounded with a slightly wedge-shaped base and a serrated margin, a glossy dark green upper surface and paler green underside. The leaves of the alders are simple, alternate, and toothed. The most common alder is Alnus glutinosa The buds and leaves of this alder are sticky at first. Its leaves are toothed and oval, rounded at the end. The bark is initially smooth, then forms vaguely rectangular vertical scales that unhook and give the trunk a rough appearance. Flowering is in bunches of green pendant catkins then yellow for male flowers, and in red upright kittens for female flowers. Plant your alder in any soil, wet, in the sun or in the shade. Plant preferably in winter, in bare roots or in mound. Dig a hole deep enough, twice as large as the root ball, without mixing the layers of the soil. Plant a solid stake at the bottom of the hole, on the edge, inclined to the prevailing winds. Cut the root hair - the fine roots that looks like hair - to balance the volume of roots and foliage. Plant without burying the boundary between trunk and roots of the tree, putting the soil layers in the same order you removed them. Tamp the soil around the roots with your foot, so you do not leave a pocket of air, and attach the stake to the trunk with a suitable extensible link. Form a hollow in the soil and water abundantly until you fill it. Water regularly and generously for several weeks after planting, especially if you planted late in the season. The alders can easily be pruned at ground level, they will groww back. Otherwise, in late winter remove dead branches, those that come back inwards and those that cross, to lighten your alder.